Description: A dog walks across a plastic-strewn beach on the coast of the South China Sea. At low tide, the cumulative waste dumped into the Mekong and the ocean gather around the pilings of coastal houses. The South China Sea is known as the Eastern Sea by the Vietnamese. Caption: A dog walks across a plastic-strewn beach on the coast of the South China Sea. 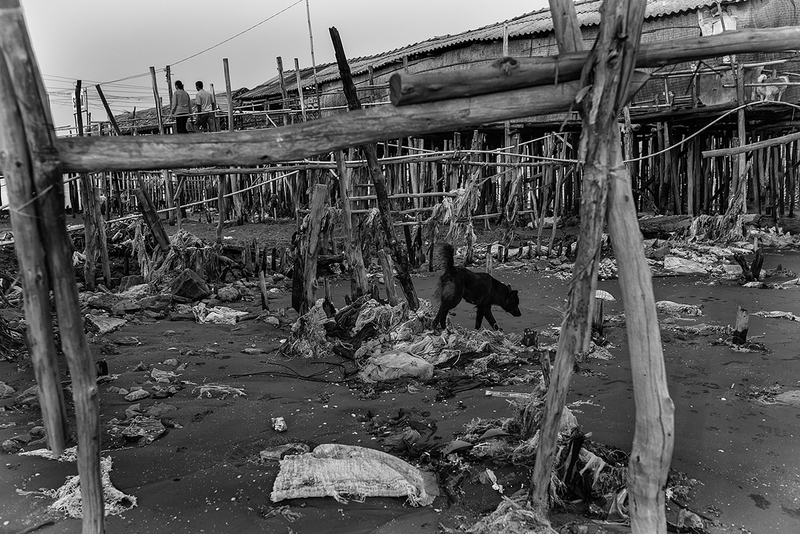 At low tide, the cumulative waste dumped into the Mekong and the ocean gather around the pilings of coastal houses. The South China Sea is known as the Eastern Sea by the Vietnamese.